The city of Gondar, north of Lake Tana, was once the prestigious capital of Ethiopia, founded by King Fasilides around 1635. Before his reign, the emperors of Ethiopia had no fixed capital, living instead in tents in temporary royal camps. However, from the 16th century, they started returning regularly to Lake Tana, where cities began to develop. But it was Gondar they chose as a permanent base because of its sheltered position in the mountains and healthier malaria free climate. 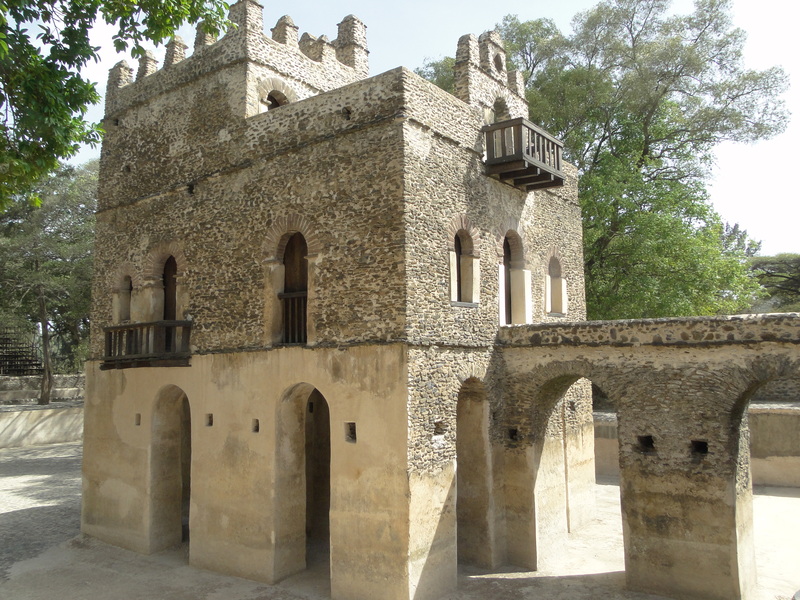 Gondar quickly grew into a prestigious political, religious and artistic centre. The distinctive Gonderine style in architecture and painting, still seen in the remains of the castles and churches decoration, dates from this period. Today, little is left from its past glory. Rather than a former capital, Gondar has the feel of a provincial backwater where very little is happening. It is known for its faculty of medicine but what remains of its heighdays can easily be seen in a day. That includes Fasilides castle in the Royal Enclosure, Fasilides Pool just outside the city centre, Empress Mentewab’s ruined castle overlooking the city, and the church of Debran Birhan Sélassié, famous for its painted angels. Fasilides castle is by far the best preserved of all the castles and buildings in the Royal Enclosure, and is the one usually shown on postcard pictures. It is interesting to see for its historical value and architectural style, but I personally wasn’t amazed by it. In my view, Fasilides pool, a smaller castle built in the middle of a pool, had more charm, even if architecturally less impressive. However, the pool is only filled up once a year during the Timkat celebration in January (Ethiopian Epiphany), but judging by the pictures, the place is transformed. 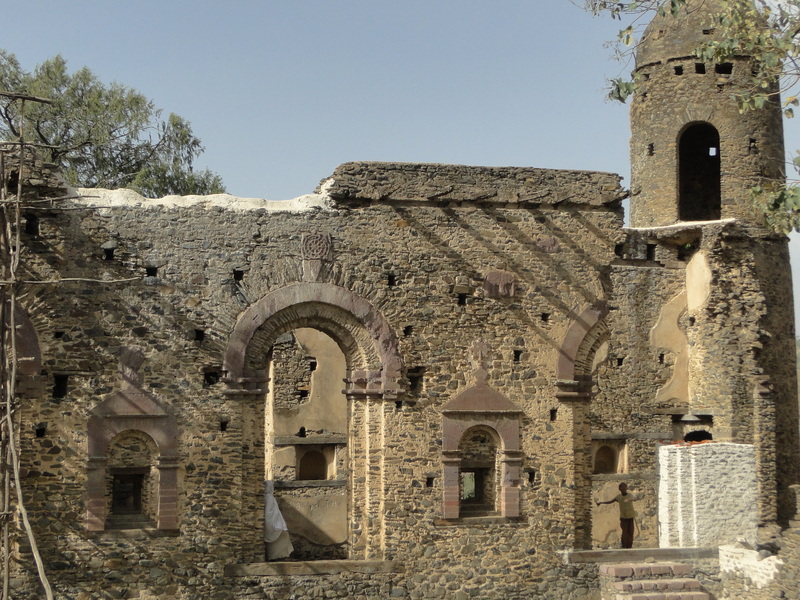 The Solomonic dynasty of Gondar (descendants of king Solomon) lasted for about 200 years until the mid 19th century, when King Tewodros II, one of the first to attempt to unify Ethiopia, moved the capital further south to Magdala. Unfortunately, we get very little information about their political and cultural achievements by visiting the sites. I was particularly interested in the story of Empress Mentewab, who took over from her husband emperor Bakkafa at his death and ruled for about 30 years, becoming a regent for her grandson after her own son was killed. 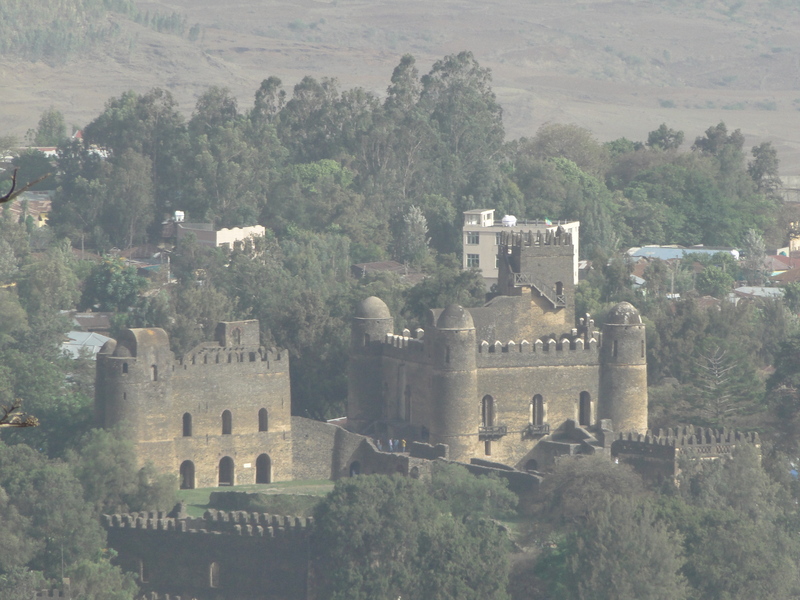 When she got tired of the political intrigue inside the Royal Enclosure, she built the Qusquam complex on a hill above Gondar from where she continued to rule over her kingdom. She is said to have had an intimate relationship with Scottish explorer and travel writer, James Bruce, who spent two years there around 1770 and is widely credited to have traced the origin of the Blue Nile. Mentewab is buried in a little crypt located among the ruins of her old palace, a quiet and atmospheric place away from the city. 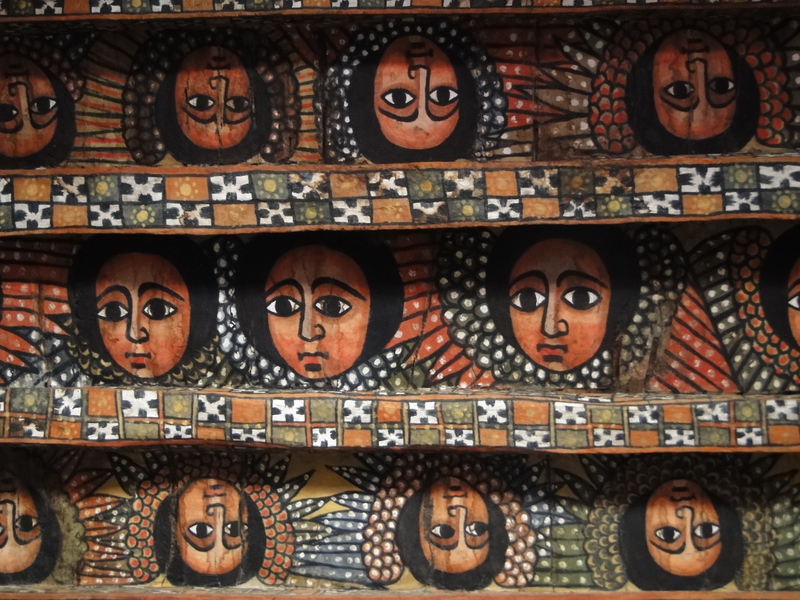 Fasilides and his direct successors are mumified and buried in one of the monasteries on Lake Tana. 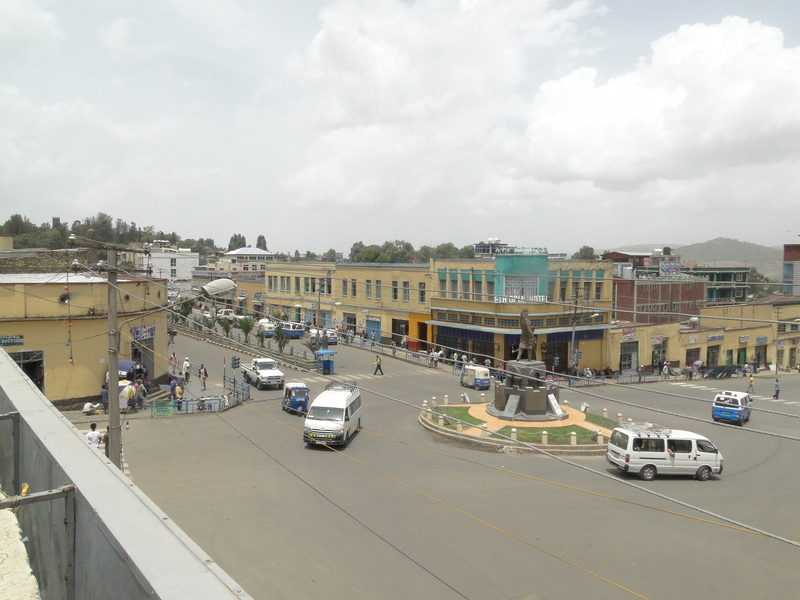 The modern centre of Gondar was built by the Italians during their occupation of Ethiopia in the 1930s. For me that was quite a surprise, as I had no idea about it. Some of the buildings such as the Post Office and the Ethiopian Hotel are similar to buildings from the same period in Italy. When reading about Gondar, we read mainly about the imperial period, and very little about modern times. Still it is not worth spending more than a day in the city. 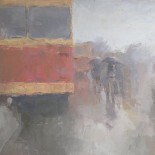 This entry was posted on June 2, 2012 by Salambo in Gondar, Travelling outside Addis and tagged Bakkafa, capital of Ethiopia, Ethiopia, Fasilides, Fasilides Pool, Gondar, gondar castles, italians in Gondar, Lake Tana, Mentewab, Solomonic dynasty.